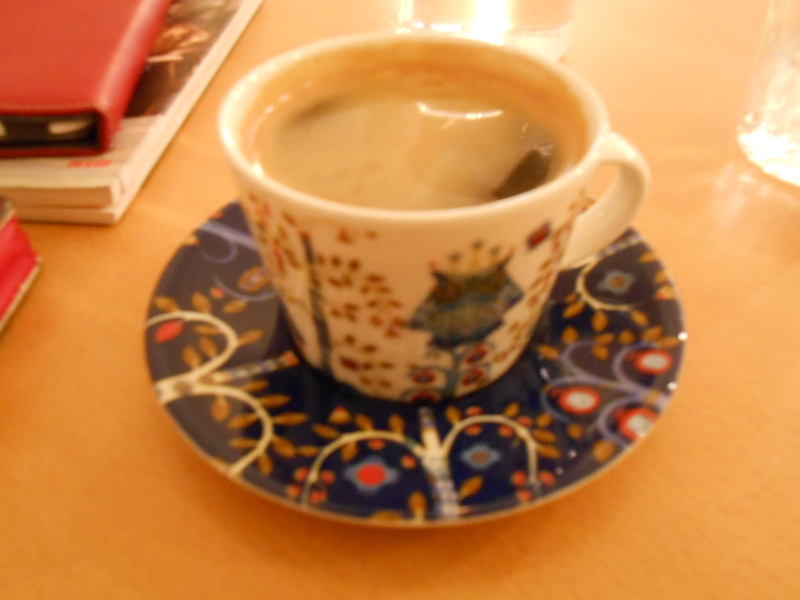 According to the book, this cafe has an adorable Persian, but it wasn’t there when I went. The owner said it was taking a day off but was usually there. Still I wouldn’t really call this a cat cafe. 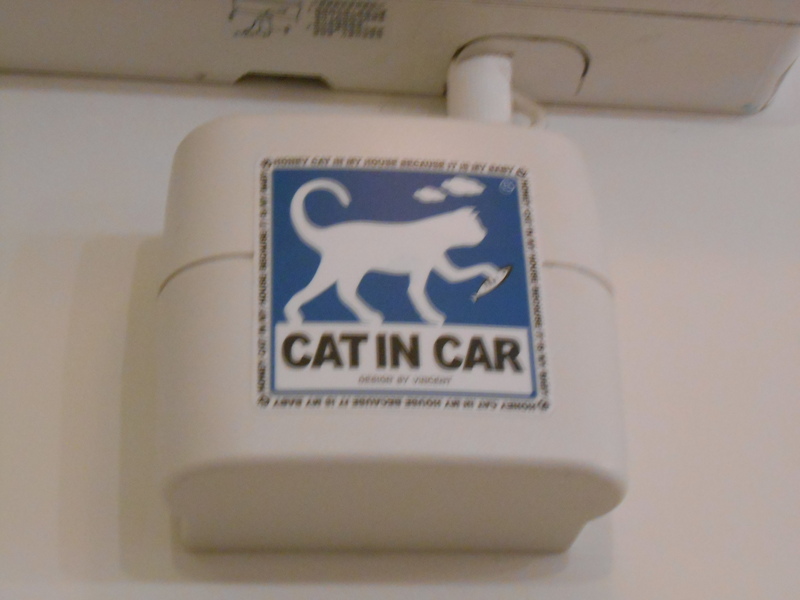 It has a nice atmosphere, but isn’t cat themed, except for the picture of the cat in the window and this sticker. “貓日和咖啡II”說這間有一個很可愛的波斯貓, 但是我去的時候, 牠不在. 老闆說牠平常來, 但是那天休息. 其實我還是覺得這間不算貓咖啡. 有很少貓主題的東西, 只有貓的照片還有這個貼著. 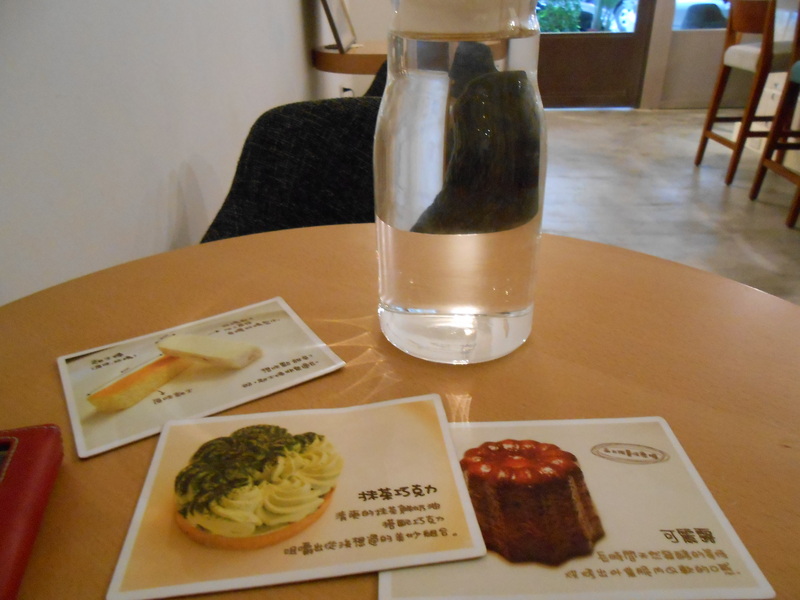 It has typical coffee and tea selections on the menu. I had an Americano NT$100. 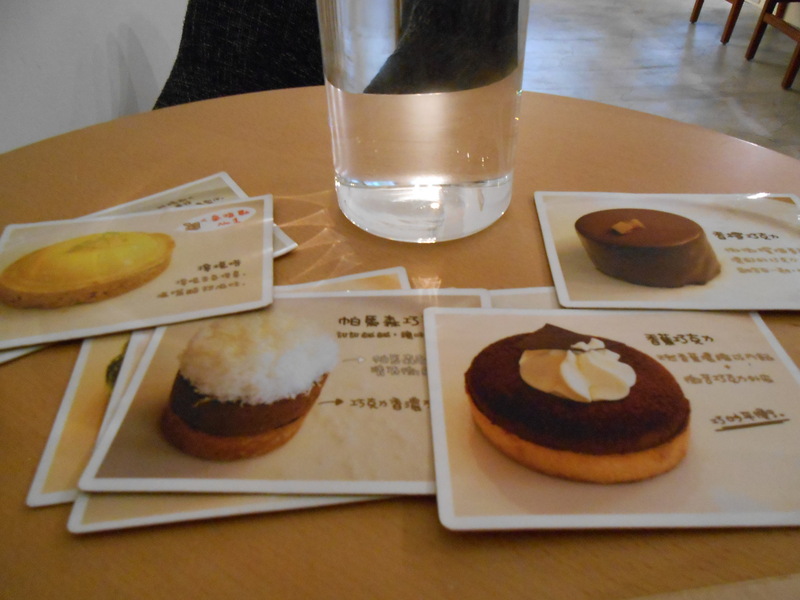 They also have a wide variety of delicious desserts, displayed on postcards. I ordered a 帕瑪森巧克力. I’m not sure how to translate it. The last part is “chocolate” and I think the first part is Parmesan. 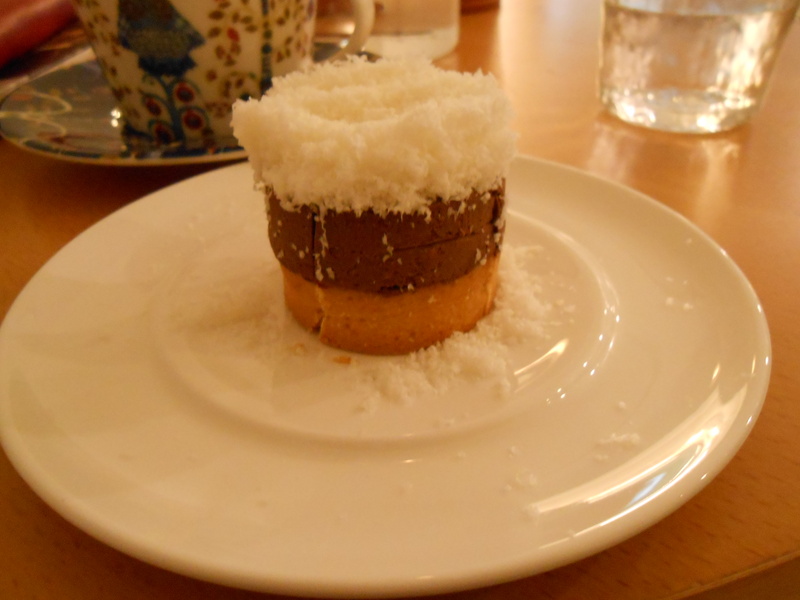 I thought the white, fluffy stuff on top was coconut, but it did taste sort of like Parmesan cheese. It wasn’t very sweet, and that turned out to be a good combination with the rich fudge under it. 飲品多根差不多的咖啡館一樣. 我喝美式咖啡 NT$100. 他們還有很多不一樣的甜點. 都看起來很好吃, 很難選. 我點一個帕馬森巧克力. 海是不知道是什麼. 我以為有椰子在上面但是好像是起司. 很好吃, 不會很甜, 很好配很甜的巧克力. 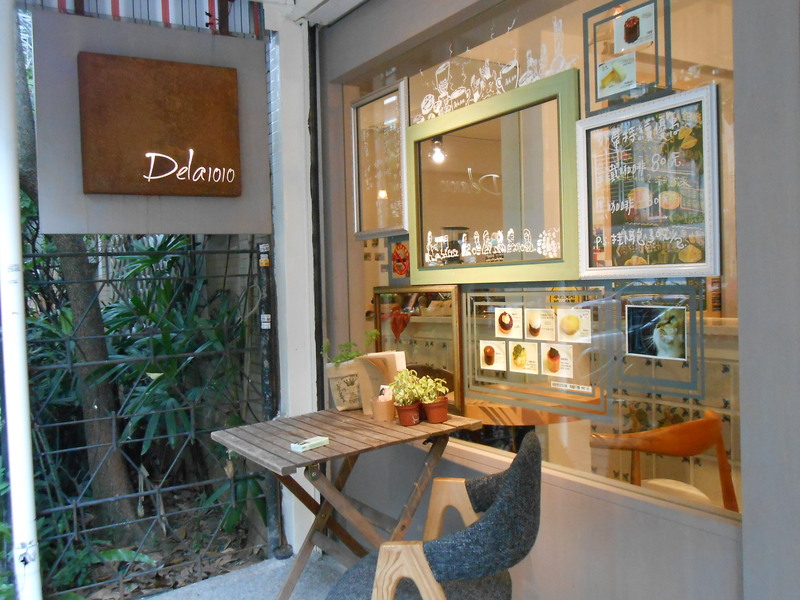 This cafe has a bright, relaxed atmosphere and is quiet enough for reading and studying. 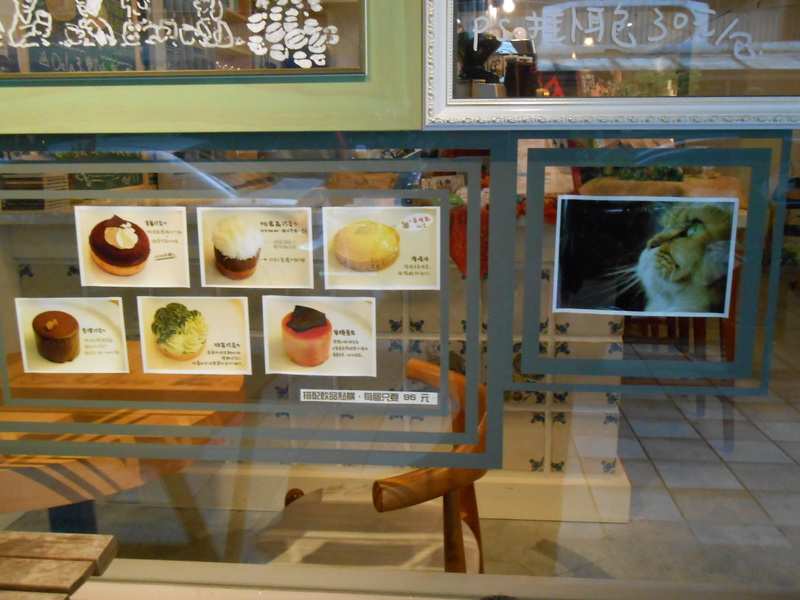 I’d also recommend it for the desserts, but not as a cat cafe. 這間很亮, 有很好的氣氛, 很適合讀書. 我也會推薦他們的甜點, 但是如果想去貓咖啡館, 我不會選擇.